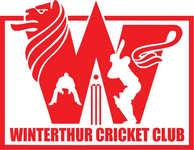 Would you be interested in offering the Winterthur Cricket Club any form of sponsorship? In addition to membership fees the Winterthur cricket Club rely on the generousity of sponsors and from donations to finance the club and its activities. To find out more about what we can offer you in return for either an exclusive or non-exclusive sponsorship deal refer to the document below and/or email Alex Mackay.